What do cities do with the places which throughout history have been the scene of suffering and humiliation? The city of Paris has been pondering this question since 1999, when the Hopital St Lazare was finally shut down, bringing to an end almost 900 years of treatment, punishment and isolation. 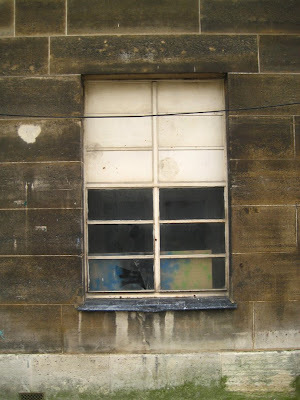 How can this site be renovated and brought back into the heart of the city, and how can they remove the scars, wipe away the pain and tidy up the memories? This site is a tale of two saints and a whole cast of sinners. It is a tale of decay, death and rebirth. It is a tale of a constant tearing down of walls, then the building of new structures with fresh purposes in their place. It is a tale mostly of women with many unhappy endings, but hopefully a tale which will end with a final note of optimism. The first saint is Lazare, the name given to the site, today a hotchpotch collection of buildings behind the Square Alban Satragne. The second saint is Vincent de Paul who created a mission here and who today quietly surveys the scene from an adjoining wall. The use of the name Lazare for this spot dates back to the 11th century, but did they know how prophetic it would prove? The name was chosen as it was originally a shelter for lepers, for whom Lazare (Lazarus) is the patron saint, but with the subsequent history of the site, the constant destruction and rebuilding, the name has assumed a second resonance. Walking around the crumbling buildings today gives a haunting insight into a past that Paris would very much like to forget. There are few places in a modern city where we get to see a ghost town, but here the jumble of structures from the last two hundred years are all empty and crumbling into ruin. The majority of buildings are still standing, mostly 20th century hospital structures, but the scars are still on display; broken windows and walls that have turned green with age. Renovation in the area has so far largely been confined to a zone outside the site, with a new school and playground in place, but even here there is a sense of unease. The playground contains three cowering pigs hiding from a wicked witch whilst a wooden cat silently overlooks the scene. For around 500 years up until the French Revolution this site had seen only the calm treatment of the sick, but with the uprisings sparking mass arrests, every spare space in the city was required to house prisoners. The structure became the St Lazare Prison, with a famous early guest in 1794 being the Marquis de Sade. He was only held here for around two months though and was also someone who had seen the inside of almost every prison in the city! More poignantly, it was also here that the poet André Chénier wrote the poem ‘La Jeune Captive’ a handful of days before his eventual execution and only 19 days before the fall of Robespierre and the end of the terror. Conditions were harsh inside, but they were little better outside the walls. Working class women in the 19th century had tough lives ridden through with malnourishment and alcoholism which often led to the reasons for their being locked up, the petty crimes and casual prostitution that they resorted to simply to survive. 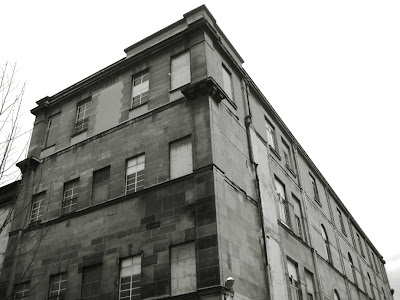 The hospital wing was used mostly for sick prostitutes, but how to tell the difference between this and the prison? They never left and had few visitors, and were kept here mostly to protect the city. They were the lepers of the period. Other female prisoners were more political, notably the anarchist and communard Louise Michel who was here in 1883, and later Mata Hari in 1917. The latter underwent what was said to be a humiliating interrogation here during which she confessed to receiving money from German officers in Madrid. Whether this was a simple form of prostitution or the spying she was tried for is not clear, but it was rendered irrelevant by her execution later that year. 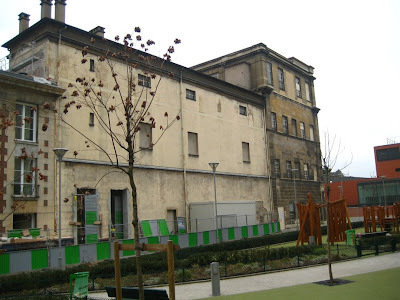 Louis-Pierre Baltard’s Chapel still survives today (the father of Victor, the creator of the market halls of Les Halles), but the majority of the other buildings date from the most recent incarnation of the site, the hospital which was re-established in 1935. Even when the site became a hospital again, the calm did not return. The hospital had a curious speciality, as it was here that the city prostitutes were taken for obligatory medical check-ups. Even after this law was removed (1946), a service ‘Saint Lazare’ still existed, and it was here that prostitutes were taken after being rounded up by the police (until 1975). Today the site is silent but it is easy to imagine the sounds of tears and screaming breaking through the thick, stone walls. To the credit of the city, they have not taken the easy path of destruction and rebuilding, but are attempting to recreate a more positive environment within these haunted walls. The Chapel will become a performance space and galleries will be placed in the wings. There will also be a creche, an infant school, a gymnasium, park and a library. This may not be able to right the wrongs of the past, but it does provide hope for the future. Thanks for sharing it with the bloggers. You show a face of Paris most people don't know. Interesting history lesson. Where do the prostitutes get their medical exams now? Starman: The rules at the time (up until 1946 - actually, the story of how the laws came about is quite interesting) made such check ups an obligatory factor for allowing brothels to stay open. After 1946, in theory there was no reason to continue with such checks. I thought prostitution was still legal in Paris (at least) and the girls had to report for check-ups once a month. The place looks pretty drab and your story is both compelling and scary. Your final words are most interesting, I'd love to know if a new life and spirit can emerge from this space. Regarding your comment in Avignon today Adam I'm absolutely sure no-one asks for any sort of permission before putting a poster up. And I'm afraid yes, the area has to deal with taggers every day. I'll have to do a post about our daily dose of tagging/graffiti - it's ugly stuff I can tell you. Superb ancient wooden doors get tagged every day without a care in the world! Nathalie and Artsparker: I too am very curious about how this site will be developed and will be keeping a close eye on the work. I'll let you know when it is finished! I came across your blog (and this article in particular)after reading Pat Shipman's biography of Mata Hari (Femme Fatale). As you note she was held here while she was being interrogated and prior to her execution and during this time she was attended to by two aging nuns from the Sisters of the Order of Marie-Joseph. There is a passing reference to the Sisters and their residence in front of the hospital in a 1948 article from the British Journal of Venereal Disease that describes the hospital at that time.